One of the most important rules for investment in stock market is “Damage Control” … by keeping Stop Loss on your trades. This means selling a stock when it's down by few percent from your purchase price. Sounds simple, but no one wants to sell for a loss. 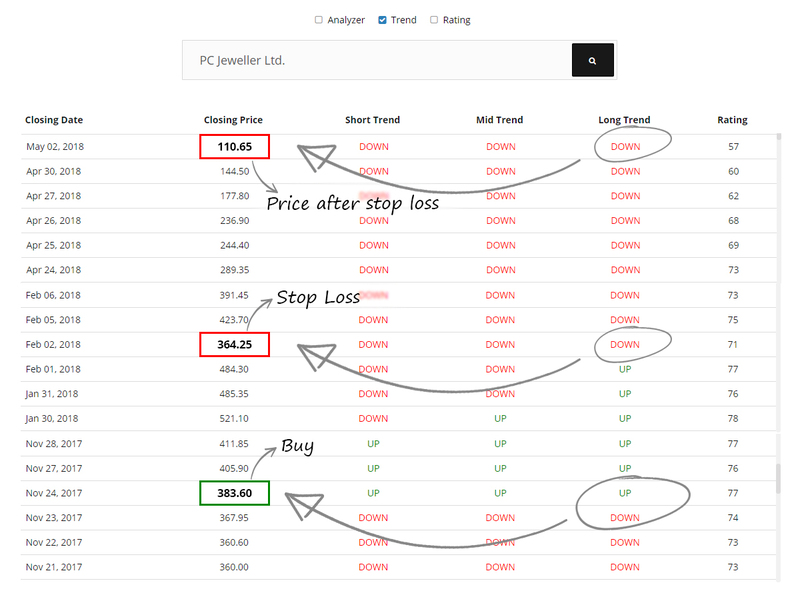 Now the question arrives, how one can know the technical point to keep the stop loss? You can get out of the stock when the Long term Trend turns DOWN from UP. So leave your emotions behind. Cutting losses with discipline will help you stay out of trouble. The same is true for every successful investor. They calmly take a small loss and look for the next potential winner.